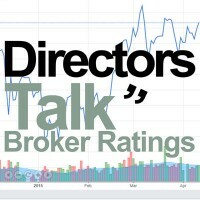 Stock in Centrica PLC ticker lookup code: LON:CNA has dropped -4.02% or -5.61 points during today’s session so far. Traders were not positive during the trading session. The period high was 138.95 meanwhile the session low reached 133.55. The volume total for shares traded up to this point was 8,828,947 while the average shares exchanged is 37,166,720. A 52 week share price high is 164.5 about 24.9 points in difference to the previous days close of business and a 52 week low sitting at 123.1 making a difference of 16.5 points. Centrica PLC now has a 20 moving average of 143.08 and a 50 day simple moving average now at 147.66. This puts the market cap at £7,632.58m at the time of this report. The share price is in GBX. Mcap is measured in GBP. This article was written with the last trade for Centrica PLC being recorded at Monday, December 10, 2018 at 12:03:07 PM GMT with the stock price trading at 133.99 GBX. Stock in Associated British Foods plc found using EPIC: LON:ABF has decreased -2.01% or -45 points during today’s session so far. Market sellers did not seem confident during the trading session. The period high has peaked at 2257 dipping to 2179.36. The total volume traded so far comes to 268,536 whilst the average number of shares exchanged is 1,689,352. The 52 week high price for the shares is 2912 some 670 points difference from the previous days close and the 52 week low at 2179.36 which is a difference of 62.63 points. Associated British Foods plc now has a 20 SMA of 2493.65 with a 50 day moving average at 2428.62. The market capitalisation is now £17,393.08m at the time of this report. Share price is traded in GBX. Mcap is measured in GBP. This article was written with the last trade for Associated British Foods plc being recorded at Monday, December 10, 2018 at 12:03:05 PM GMT with the stock price trading at 2197 GBX. 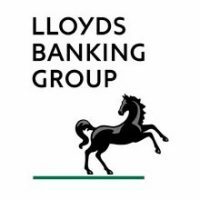 The trading price for Lloyds Banking Group PLC ticker code: LON:LLOY has declined -1.51% or -0.82 points in today’s trading session so far. Traders did not seem confident while the stock has been in play. Range high for the period has seen 54.04 dipping to 53.19. The total volume of shares exchanged so far has reached 41,881,950 with the daily average number around 215,416,027. The 52 week high for the shares is 72.77 which is 18.72 points difference from the previous close and the 52 week low at 53.19 is a variance of 0.85 points. Lloyds Banking Group PLC now has a 20 SMA at 57.24 and now a 50 day moving average at 57.99. Market capitalisation is now £37,877.36m at the time of this report. The share price is in Great British pence. Mcap is measured in GBP. This article was written with the last trade for Lloyds Banking Group PLC being recorded at Monday, December 10, 2018 at 12:03:17 PM GMT with the stock price trading at 53.23 GBX. The share price for Severn Trent Plc with EPIC code: LON:SVT has slid -1.77% or -33 points throughout the session so far. Investors have so far given a mostly negative outlook throughout the session. The periods high figure was 1856.5 and hitting a low of 1821. The total volume of shares exchanged through this period comes to 260,021 with the daily average number around 1,146,715. The stock 52 week high is 2179 some 318 points difference from the previous close and the 52 week low at 1664 making a difference of 197 points. Severn Trent Plc now has a 20 simple moving average of 1914.9 and a 50 day moving average now at 1898.05. The current market capitalisation is £4,335.33m at the time of this report. All share prices mentioned for this stock are traded in GBX. Mcap is measured in GBP. This article was written with the last trade for Severn Trent Plc being recorded at Monday, December 10, 2018 at 12:03:01 PM GMT with the stock price trading at 1828 GBX. Shares of SSE PLC EPIC code: LON:SSE has dropped -2.71% or -29.5 points in today’s trading session so far. Market sellers have so far given a mostly negative outlook throughout the trading session. The period high was 1062.5 while the low for the session was 1035. The total volume of shares exchanged so far has reached 930,840 with the average number of shares traded daily being 4,582,423. The stock 52 week high is 1449.5 some 360.5 points different to the previous business close and a 52 week low sitting at 1035 which is a difference of 54 points. SSE PLC now has a 20 SMA at 1132.15 and a 50 day simple moving average now at 1144.8. This puts the market capitalisation now at £10,876.17m at the time of this report. All share prices mentioned for this stock are traded in GBX. Mcap is measured in GBP. This article was written with the last trade for SSE PLC being recorded at Monday, December 10, 2018 at 12:03:14 PM GMT with the stock price trading at 1059.5 GBX. Click ABF CNA LLOY SSE SVT for the full archive.